MONTHLY NEWSLETTER: Here’s what’s happening Behind The Scenes at Dashing Date! The time has come to date offline! Today, we launched a 14 day challenge that will require you to abandon your online dating profile (temporarily) to take a stance against ghosting, wasted energy, and disingenuous conversations. For the next 14 days, we’ll be sharing daily posts with concrete tips that will guide you through the challenge, one step at a time. Each post will lead you to take a step forward in your offline dating life, gain confidence, and create more meaningful connections. Remember, this is not a permanent thing and we’re not against online dating. We just know that as soon as you become reliant on something, that’s when a break necessary. You can actually meet someone in the real world! You can follow the challenge on Instagram, Facebook or our blog. New posts will be shared each day at 12PM. Drum roll please… HAPPILY EVER AFTER, our biggest Valentine’s Day celebration yet, is coming up! There are 20 speed dating events happening between February 13th and 14th in Montreal, Toronto, Ottawa, Vancouver and Calgary for all age groups and Life Stages that Dashing Date regularly caters to. Click here to learn more. 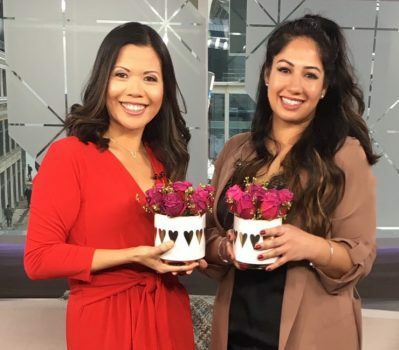 Breakfast Television: We’re doing a Valentine’s Day segment on Breakfast Television Montreal, but with a special twist! Catch it live on City TV on Feb 8th. CJAD: We’ll be chatting about speed dating on Montreals CJAD Radio station the week of Feb 11th. Keep up with us on Instagram and facebook for updates on exact dates and timings. View our other media appearances here. 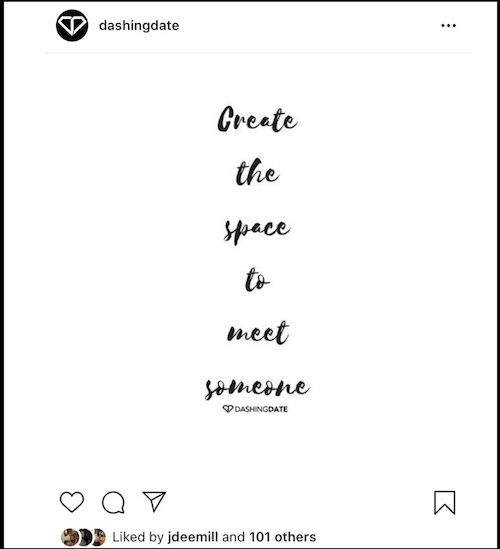 Last month’s most popular Instagram post’s caption read: Set up the right environment to welcome someone into your life. Create the space in your head, your heart, and your home. Visit our Instagram page to see more like this. If you tried a monthly challenge, were inspired by something we shared, or there’s something specific you’d like to see more of from us, there’s nothing like real human interaction. So, LETS TALK! Send us an email and a real human from our team will be happy to connect with you.